Considering establishing your own game company? Or maybe you’ve already taken the first step, but are looking for advice on what to do next? Come to Growing Games: Start-up edition, where we will cover all the basic knowledge for getting started with your own games company, and give you the opportunity to hear the start-up stories and get tips and tricks from some of the best in the business. – Becoming professionals. How to handle the transformation from friends or students to industry professionals. 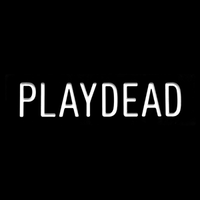 Please note – You will be required to sign an NDA when entering the Playdead offices.